Classic bullet lipsticks are back with a vengeance and there's nothing like a one-stop slick of color that nourishes and gives your lips a marvelous matte finish. 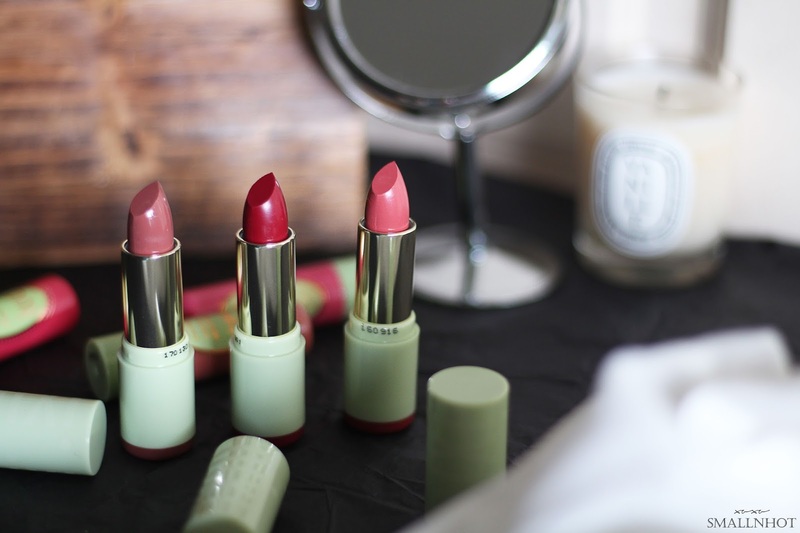 Pixi's Shea Butter Lip Balm and Mattelustre Lipstick seems to just do that. What's not to love ? Let's find out. Pixi Shea Butter Lip Balm awakes lips with its super nourishing rich balm. 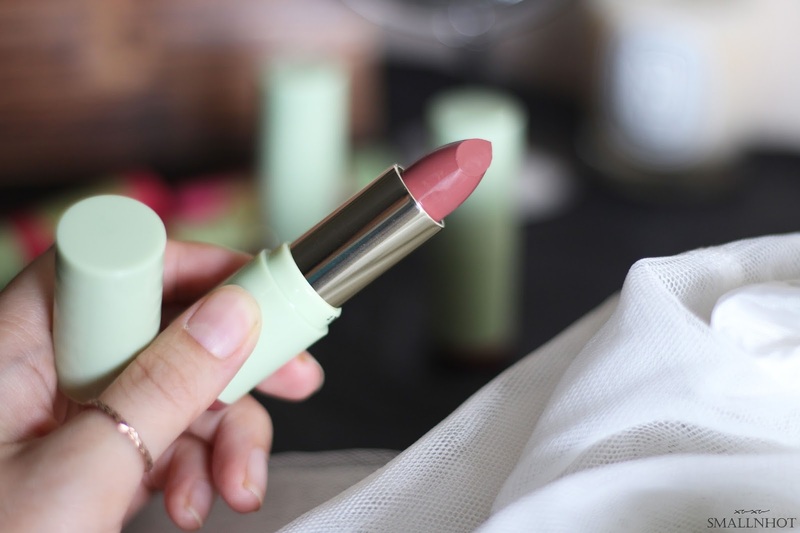 Infused with shea butter to nourish and vitamin E to protect, it gives just the perfect hint of a tint to lips. You'll LIKE it because it hydrates with a tint of colour to your lips. You'll HATE it for the playdough alike scent. 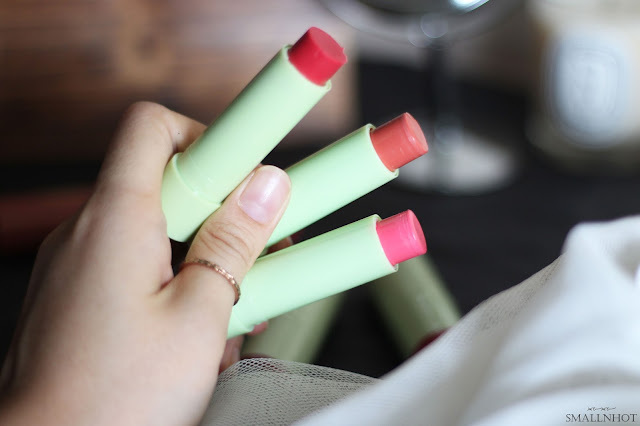 If you want an easy to find and cheap pick, then opt for the Pixi Shea Butter Lip Balm, that offers sheer and Your Lips But Better kinda lips look. The color selection is quite limited (swatches as below) but they "One", goes on smoothly and "Two", keep my lips hydrated throughout the day without feeling greasy or tacky. This is an absolute bargain for a lip balm but honestly I'm not digging it's scent. Personally, when I apply something anywhere near to my face, it has to be either odorless or pleasantly scented. And the Pixi Shea Butter Lip Balm has the scent of playdough. So all in all, even though it hydrates my lips, I highly doubt that I will be reaching out to this lip balm unless they change the scent that it comes in. Pixi Mattelustre Lipstick has a full-coverage, demi matte finish that plumps and protects, while giving a long-lasting, intense colour! Added peptides, hyaluronic acid, and vitamins C & E help to create fuller, smoother looking lips. You'll LIKE it for the creamy and nourishing texture. The original kind of bullet matte lipstick design and still in my eyes, the best. 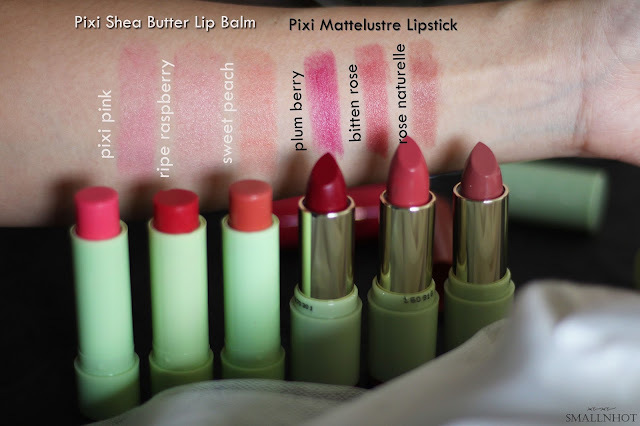 This Pixi Mattelustre Lipsticks are seriously nice on the lips, creamy and pigmented (swatches as below) and actually stick around on the lips for a fair amount of time, which is surprising for such a creamy formula. Don't expect a sheer tint of color, expect a soft layer of demi-matte color that doesn't dry up your lips. The only con I can think of here is the slightly flimsy plastic packaging. Well for the price of £14, we can't really complain much about it.